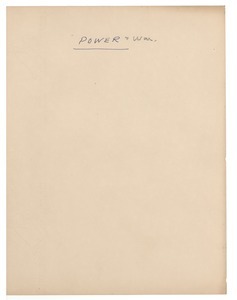 An early version of this theatrical work "seeking to pierce the gloom of 1940," bearing very minimal editorial mark-up. 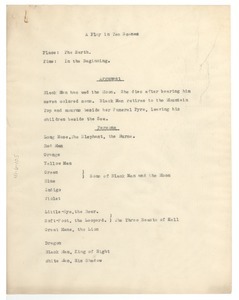 A heavily marked-up draft of the play, which takes place on "the earth," and "in the beginning." 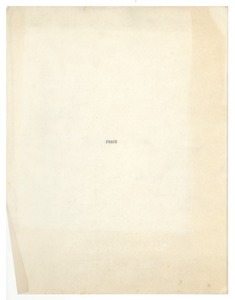 Five loose pages of an early rendering of "Peace," the fourth act of Du Bois's theatrical compendium "Darker Wisdom / Sorcery of Color." 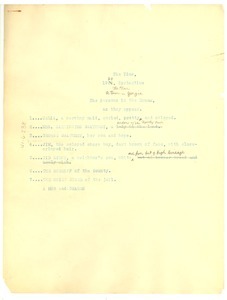 An initial, uncorrected, complete draft. 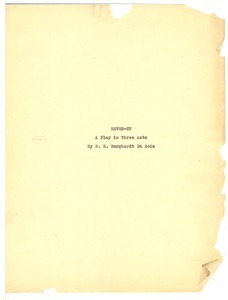 A fourth, heavily corrected draft of this three-act play taking place in "a town in Georgia" and prepared for publication in "Playthings of the Night." See also mums312-b233-i060, i063 through i068). 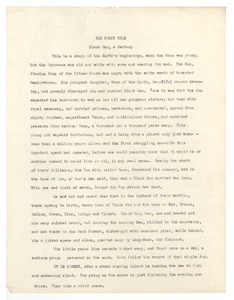 A clean-looking draft of the play, typed on onion skin, and including table of contents page and list of dramatis personae. 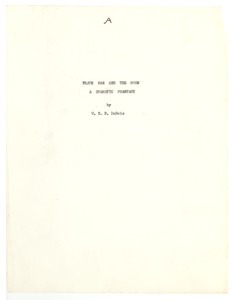 An introduction and early rendering of this work, which first appeared in the 1931 compilation, "Playthings of the Night," and which takes place at "the Earth's beginnings, when the moon was young." 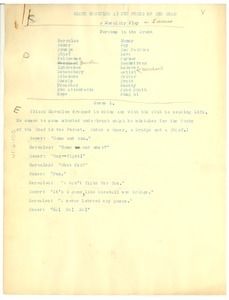 A third, uncorrected draft of this three-act play taking place in "a town in Georgia" and prepared for publication in "Playthings of the Night." See also mums312-b233-i060, i063 through i068). 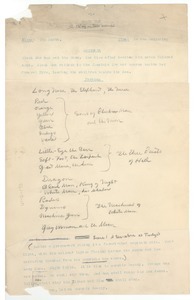 An slightly marked-up draft of scene I and list of dramatis personae. See also mums312-b233-i070 and i072. 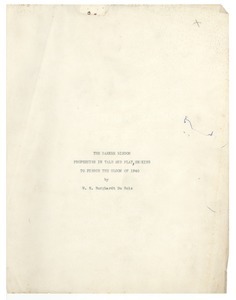 An updated rendering of this work, which first appeared in the 1931 compilation, "Playthings of the Night," under the title "The All-Mother" and which now comprises the body of "Power & War," the second movement of "Darker Wisdom / Sorcery of Color."